In 2018, California has seen a spate of devastating wildfires that has already consumed more than 1,000,000 acres, caused scores of deaths, rampant property destruction, and millions of dollars in economic loss. Following a 2017 fire season that was nearly equally as tragic, a public debate has emerged regarding the origin of the increased frequency and intensity of these disasters. 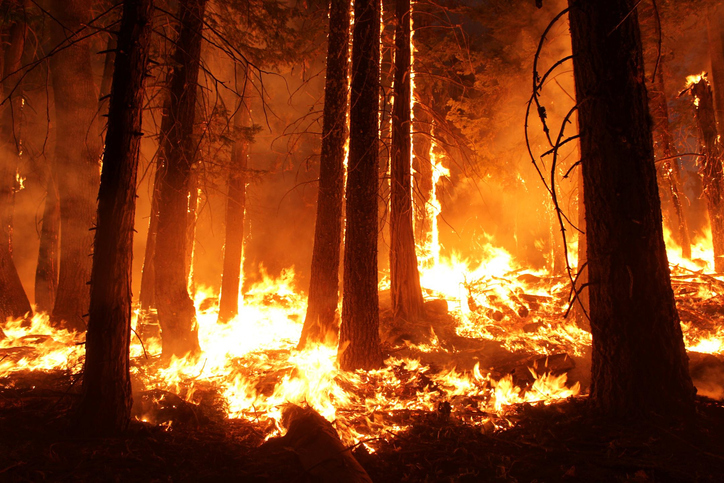 In August, following fires in Redding, California, and in the last week during blazes outside of Sacramento and Los Angeles, the president criticized forest management practices and environmental laws for the perceived proliferation of fire disasters. Consistent with the current administration’s overall policy of environmental deregulation, they argue that litigation and regulation has kept land management forces at bay, and has led to more dense forests and an accumulation of brush that has acted as an accelerant for blazes. These public statements appear to be laying foundation for either large scale cuts in funding, or for vastly different allocations of federal money toward environmental management in California. Over the weekend during a request for federal disaster aid, California governor Jerry Brown countered the Trump Administration’s claims, and pointed to climate change and man-made factors that have led to more extreme droughts and higher winds that exacerbate conditions favorable to the swift spread of fires in the state. Brown and California have been leading the charge on state-led fights against climate change, and the high visibility and wrenching human drama of these fires will aid support for their initiatives. Early reports suggest that downed or sparking power lines may have ignited the Camp Fire that destroyed Paradise, California in the last week. California utility provider PG&E is already involved in litigation for the 2017 fires near Santa Rosa, and faces increased scrutiny given these new allegations. As populations and their utilities edge closer to wild lands in California and elsewhere where wildfires are a natural norm, state and federal officials will need to break their impasse and develop a more comprehensive and unified policy to address and rectify the origins of these increasingly deadly and destructive fires. 400 Months and Counting – Warm Temperatures Continue!